Advanced puzzle diagram for Windows, which offers easy diagramming tools with advanced import and export capacities. Here is an amazing desktop puzzle diagram tool which can generate high quality puzzle diagrams and many other types of visuals. It includes 8500+ symbols that are predefined and easily editable. Just drag and drop them to use. An extensive collection of online resources are also accessible, including Q&As, tutorials and various templates. With our software, you can make puzzle diagram extremely easily and get online to sync for abundant, ever-expanding resources. A state-of-the-art desktop application, supporting over 20 types of diagrams besides puzzle diagram. An easy and fast diagramming tool to produce puzzle diagrams in 10 minutes or less. Access 8500+ shapes in Edraw and thousands of templates and examples online. Access and create puzzle diagram regardless of internet availability. 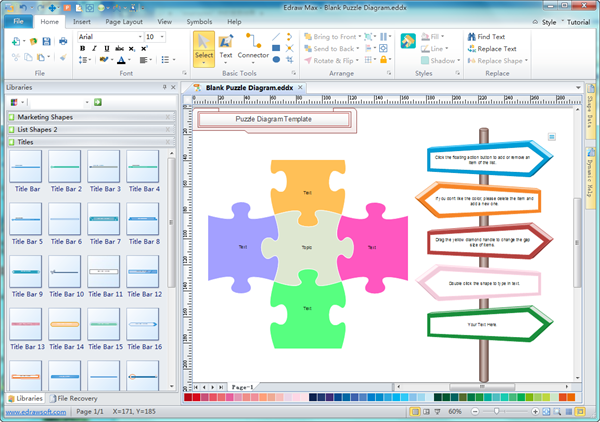 All of your diagrams and content can be exported into various formats, such as PPTX, PDF and JPG. 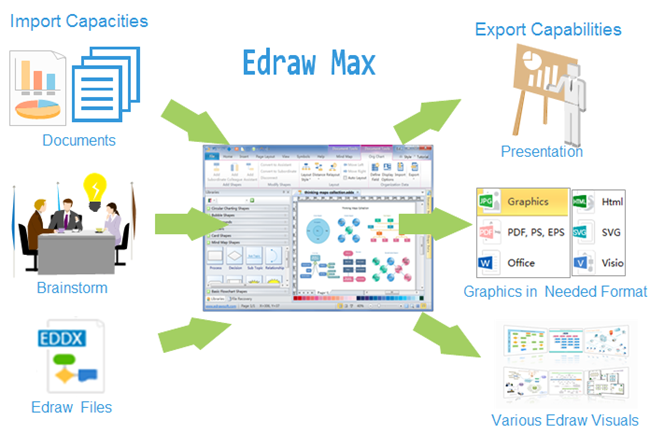 To sum up, Edraw is an advanced puzzle diagram program with automatic functions. With various diagrams it can generate, you can surely achieve impressive effect with infographics to stand out from the crowd.